On November 25th, 2018, He Jiankui, a researcher in China, announced a claim that he had created the first genetically modified babies. He allegedly modified the DNA of twin girls so that they would be resistant to human immunodeficiency virus (HIV). While Jiankui has no evidence proving his study or research, his claim introduces many important questions that we will have to face in this new age of technology. Technological advancements like CRISPR, a gene editing tool, make genetic modifications feasible. 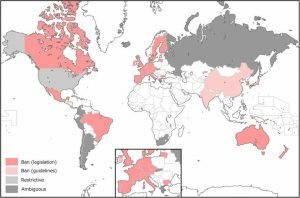 Many countries have already imposed laws or guidelines against the use of gene editing tools on humans. The United States is one of the few countries that does not have direct laws against gene modification, allowing human embryos to be edited to create so-called “designer babies.” Many people are worried that designer babies could change the human evolutionary process, and others worry that it is unethical to change the hair color or the IQ of an unborn child without knowing any other possible side effects. 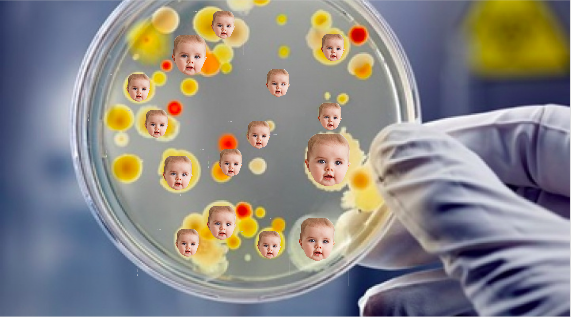 Personally, I think there is only one case in which designer babies are ethical. When a gene is being modified that will remove mutations that could cause serious diseases, only then does it make sense to edit a baby. But in cases that are not medically necessary, there is no ethical justification for modifying a human embryo. Even He Jiankui’s modification to prevent HIV in the twin girls was not a medically necessary procedure, considering there are several other ways to prevent HIV in human embryos without editing their DNA. In the book The Problems and Possibilities of Modern Genetics: A Paradigm for Social, Ethical, and Political Analysis, the authors Eric Cohen and Robert P. George discuss the issues that lie in the ethics of gene editing. One of the main reasons why people are interested in genetic modification is to produce desirable human traits in their child, like higher IQ or phenomenal strength. Editing for these traits in a human embryo could come at the cost of other characteristics. Not all of the human life is based off of exceptional talent in physical ability. We do not want to turn the human race into machine-like people. Gene editing in order to create certain characteristics in a child would be detrimental to the evolutionary process and possibly the child themself. Ever seen the movie Gattaca from 1997? We do not want to risk creating a social hierarchy in which some people are more superior due to genetic modification and other people are discriminated against due to a lack of genetic modification. It would therefore be best to leave the idea of designer babies untouched. Genetic modification in human embryos is justified when necessary to prevent life-threatening diseases, but otherwise could have drastic negative consequences to society and the human race. 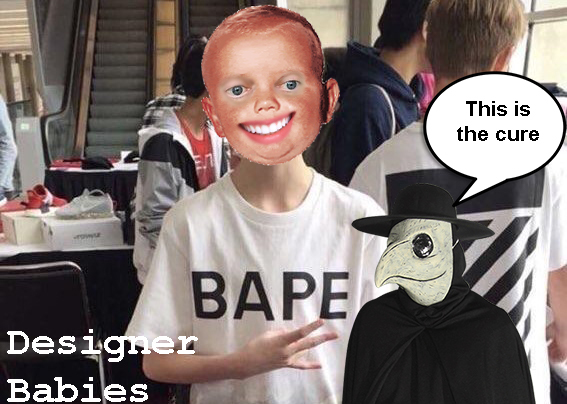 Infant dons designer clothing as Doctor expresses his approval. Graphic courtesy of Connor Walker ('19). I am sure many of us remember (or will hear of) the hellish world described in Aldous Huxley’s Brave New World. There are concerns that our own world is slowly reaching that dystopian future where social class is decided pre-birth, all thanks to genetically modified children. While this fictitious community is well thought out, it is an exaggeration to say that these edited infants will bring much trouble unto us. Some students seem to be in favor of the operation, but some support it more hesitantly. 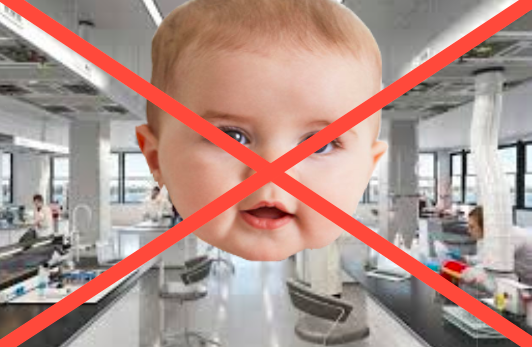 Drew Hersch (‘19) said, “it should be strictly a medical advancement and medical procedure,” and agreed with the idea that it should not be used to alter the child aesthetically. Sabrina Chavez (‘20) said, “I feel like [without regulation] it could promote a bunch of stuff that’s not the best, like changing the kid cosmetically.” While agreeing with the idea that a cosmetic operation was a bad idea, she seemed to be more concerned with the idea of a disadvantage for those who could not pay for such a procedure. Other students brought up the inevitable failure in experimentation and the possible danger. The risk factor is obviously something to consider, especially with how new the subject is. While it is a concern, one should also think of the possibilities once it is perfected. One of the upsides of genetic modification is not only prenatal vaccination but potentially the ability to change certain aspects of the child. If the child were to possibly be vulnerable to certain heart diseases, have deadly allergies, or certain conditions, these could all be avoided before the child is born. In addition, the hair color, eye color, nose type, and possibly height could be determined and rearranged before birth. If given the option to change an embryo aesthetically, why should we not be able to? Such an ethical dilemma has been brought up in media, such as the 1997 movie Gattaca. The concern is understandable, as it has the potential to create social castes based on whether or not one was edited as an embryo, but I believe this possibility is stretched. There are certain things that will remain out of our dictation, such as athleticism or intellectual potential, but a healthier child will make both easier to pursue. If embryonic editing becomes a possibility, think of what could be avoided or what could be changed, but isn’t possible simply because it goes against the morals of a few people. Even alternatively, think of a child who grows up around so many other people who had been edited, but his parents refused to have them edited for a similar reason. Modern medicine is advancing at a very quick pace and we need to be ready for that. The potential to stop certain diseases before they become an issue is approaching quickly, and we may soon have the ability to perfect humanity. If our long-term goal is to better ourselves and make ourselves healthier, then perhaps customizable fetuses are the answer.